Today, I'm over at the ALSC Blog talking about our Winter Reading Club and how we tweaked what we did last year to make this year's even better! We still keep this program really simple and aim for giving kids and families something fun to do together during these cold winter months. Click on through to read the post, and please comment! 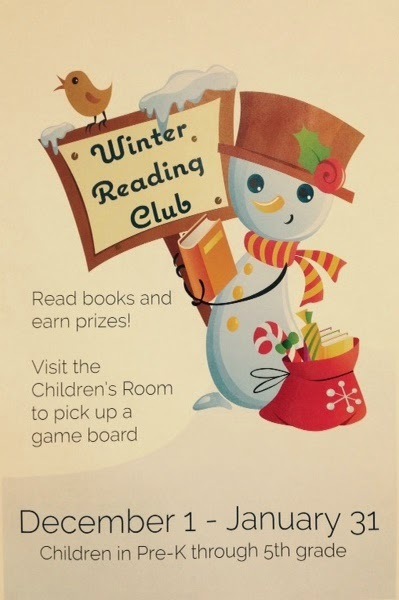 I would love to know what you do for Winter Reading!